A new pen and an entirely new manufacturer for me. 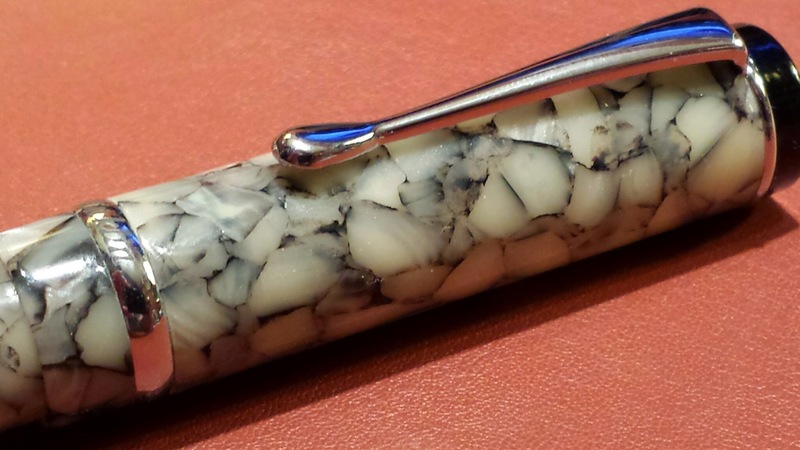 The Conklin Duragraph. 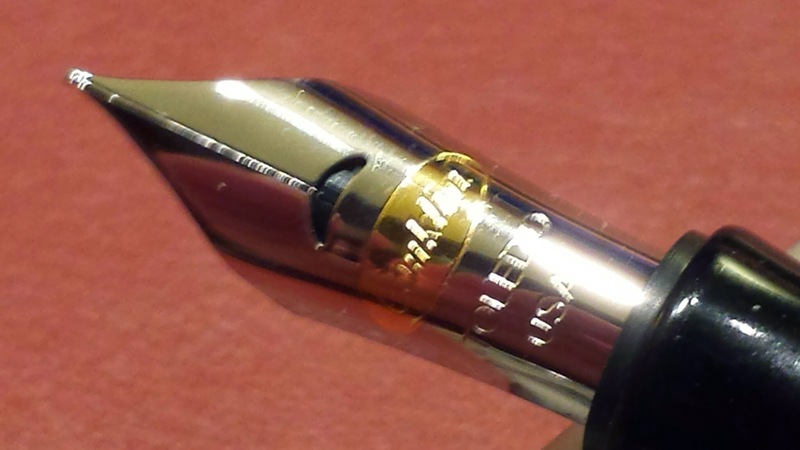 I recently ordered this little jewel (and I do mean jewel) from Goulet Pens. Horrible experience! Not having anything to do with the Goulet’s, but from the fine folks at our esteemed United Postal Service. Ordered on January the 23rd, USPS web site showed it was out for delivery on the 26th. Great! Except they were trying to deliver it in Winchester, Ky. I live in Lawrenceburg Ky, over an hour away. From there it apparently was sent back to the Lexington Ky sorting facility. Next it was on to Oshkosh Wisconsin where it stayed for about 3 days. Finally, over a week later to me. And guess what? The box, label, everything that is looked at and used to route a package, was correct and in pristine condition. 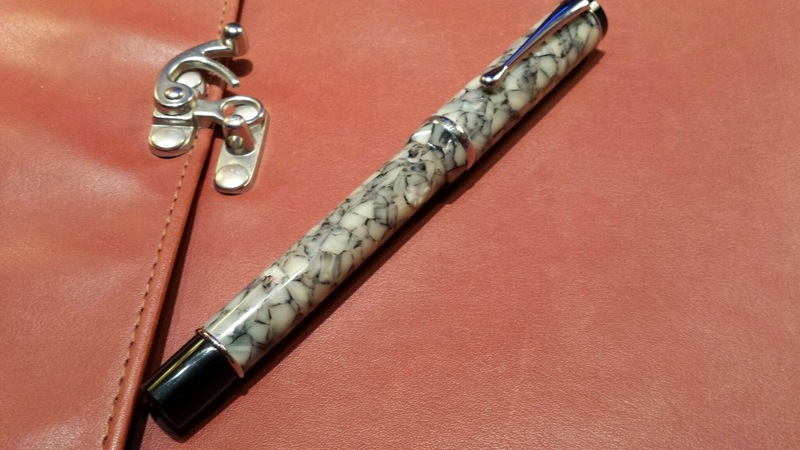 I started with fountain pens on the vintage side of things, so I’ve known the Conklin name, but have never owned one, let alone seen or handled one. And I still haven’t. You see, this isn’t the Conklin company of vintage pen fame. Like the recent Esterbrook brand, this is a resurrection of sorts, where a group (in this case Yafa) purchased the rights to the name of a once famous, but long shuttered company, and re-opened “new”. That’s not necessarily a bad thing, I just wanted to make clear – this is not the original Conklin company. 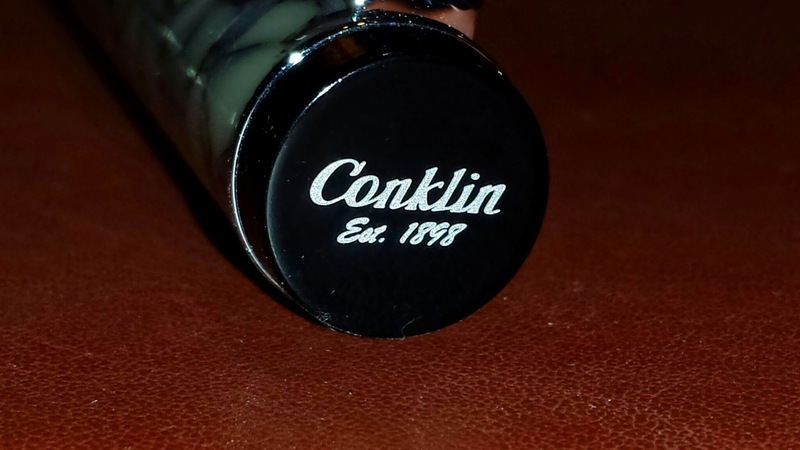 But, this new Conklin company sure makes a nice pen….. 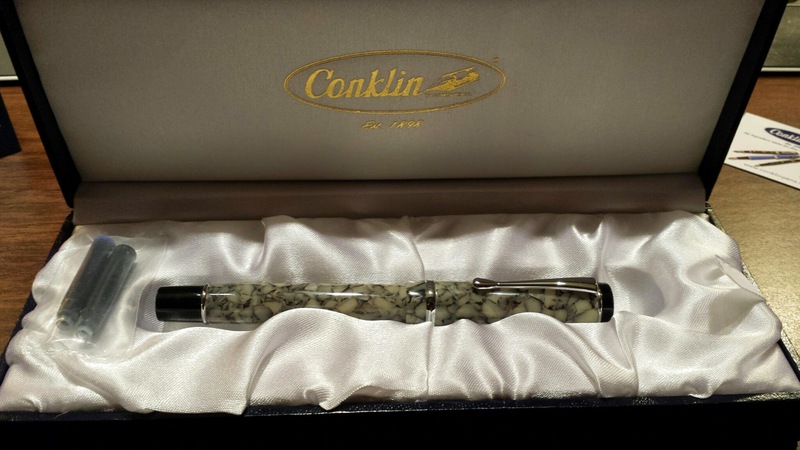 The Conklin Pen Company is recognized as being one of the first companies to add the feature of true mobility to daily writing. Innovator Roy Conklin successfully created the first Self-filling fountain pen – promoted as ‘a fountain pen that has its own stomach’ which became much loved by renowned American author Mark Twain. In 1923, the Duragraph model was launched, and shortly afterwards was considered to be ‘the definitive’ pen. The model was named by combining the words, durable and graph – Duragraph. Created to last as an heirloom to serve many generations, the Duragraph is offered with a lifetime guarantee. The fountain pen uses the reliable international cartridges converter (supplied) and the ballpoint is accompanied with a refill and accept the Monteverde P1 and P4 refills. So, the good and bad points…. First the bad, and really, there’s not much. It doesn’t post well. It’s a long pen so for many, posting isn’t an issue in the first place. But for me, I like to post my caps on my pens. It’s not that it won’t post, it’s just that due to it’s design, the cap only posts to a very small portion of the end cap. It posts snuggly enough, but often crooked and makes you feel that, although it’s snug, it might fall off if moved too quickly. Because of this, posted, it becomes a VERY long pen and moves the center of balance far towards the rear of the pen. The only other negative would be with the nib. I ordered mine in a fine, and though it writes reliably (no skips, doesn’t dry out easily) it’s a bit “toothy” for me. It is a true fine nib, which I know often means a bit more feedback than a typical medium nib, but after buying two Pilot Metropolitans recently, I can confidently say that a fine nib can be super smooth. This is not, though it’s not bad. Probably can be helped with some smoothing work on some mylon paper. The final negative with my nib is that it suffers from nib creep. Not sure if that can be fixed. Oh my goodness, it’s GEORGEOUS!!! This is an absolutely beautiful pen. Mine is the cracked ice finish and has a very art deco vibe to it. I just love to look at it. It looks as though it was patterned after the old Parker Duofolds or Sheaffer Lifetime Flat tops,which are pens that got me into this hobby in the first place. Next is the price. At $49.95 including shipping, this pen is a pretty great value. My understanding is that the pen parts are produced in Asia and assembled here in the US. Lifetime Warranty. Yes, you read that correctly, a Lifetime Warranty.